American artist Richard Schmid was born in Chicago, Illinois in 1934. His earliest artistic influence came from his maternal grandfather, Julian Oates, an architectural sculptor. 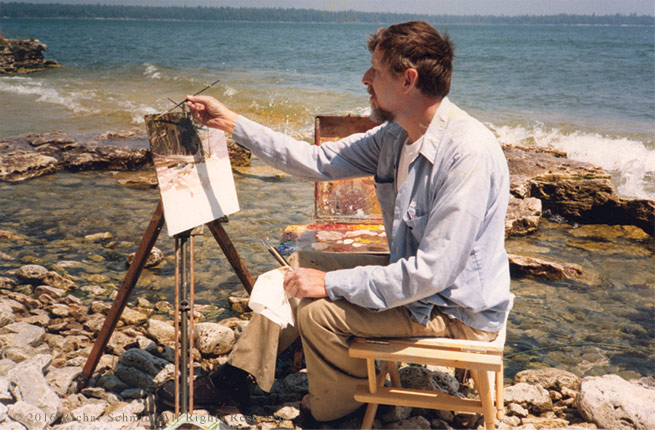 Richard’s initial training in landscape painting began at the age of twelve, and subsequent lessons in anatomy were completed at the American Academy of Art in Chicago, where he continued his studies into the full range of classical techniques under William H. Mosby. William Mosby, a graduate of the Superior Institute in Antwerp, was a technical expert on European and American realism. Studies with him involved working exclusively from life, at first using the conceptual and technical methods of the Flemish, Dutch, and Spanish masters, and eventually all of the late 19th century European and American painters. 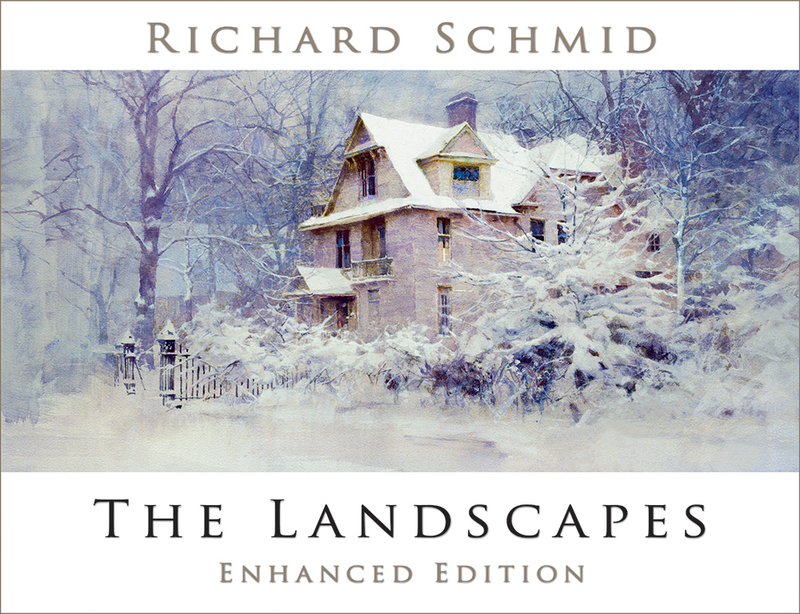 Throughout his career, which saw over fifty one-man shows, Richard Schmid has also promoted fine art education through his books, articles, workshops, seminars, and television presentations. His landmark book, ALLA PRIMA: Everything I Know About Painting, first published in 1998, went into eleven printings. 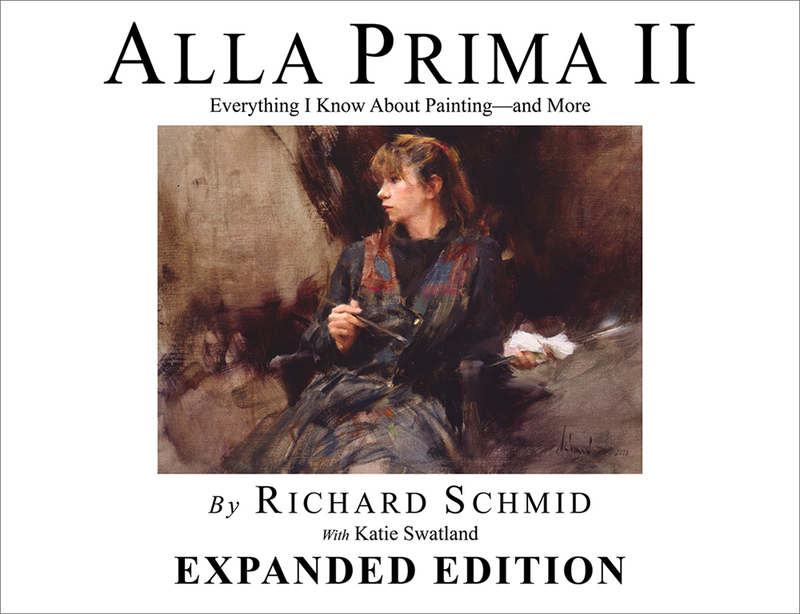 His latest book, ALLA PRIMA II: Everything I Know About Painting and More, Expanded Edition, published in 2013 is considered the finest instructional art book in the world. 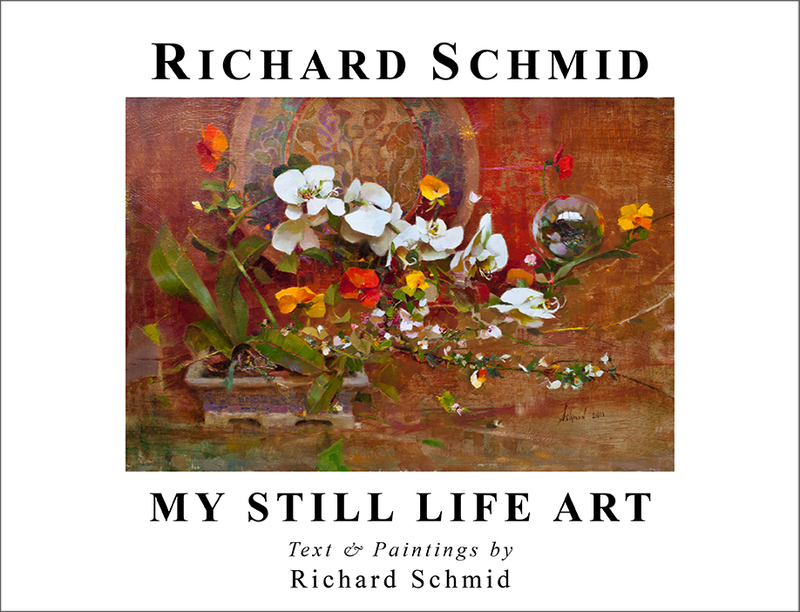 Richard Schmid holds a Doctorate in Fine Arts, and has won nearly every major Fine Art Award in America. In 2000 Richard Ormond, Sargent’s grandnephew, presented him with The John Singer Sargent Medal for Lifetime Achievement Award. Richard Schmid's masterwork, ABBOTSFORD HOUSE, (the home of Sir Walter Scott), was presented to her Majesty Queen Elizabeth II in 2013 at the Royal Opening of Abbotsford in Melrose, Scotland. Richard is currently completing a book on his Still Life paintings (available summer 2019) and he looks forward to creating his next books on all the people he has painted in his lifetime. step-by-step sequences, diagrams and more. 17 new sketches and color enhancement.